According to Noam, he had his first five tennis lessons just prior to the helicopter crash that left him paralyzed in the Second Lebanon War. 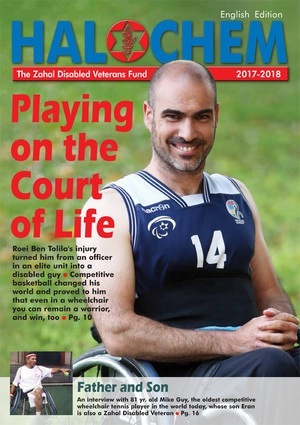 As part of his long rehabilitation process, Noam became a member of Beit Halochem, putting him in contact with Coach Nimrod Bichler, who has trained several wheelchair tennis players at Beit Halochem-Tel Aviv for the past fifteen years. Congratulations Noam, and we wish him the best in his upcoming Paralympic trials.